It has recently become much easier for the public to find out about company and director finances because Companies House have made access to their companies database free. This is the government database of the public records of businesses in the UK. Previously, obtaining accounts and other documents from Companies House was £1 a time, which quickly adds up when looking into complex networks of UK and off-shore companies in various states of activity or insolvency, like the Mountgrange companies. We had previously had to buy various documents to find out about some of the other attempts to recover some of the Mountgrange millions. At the date of the Administrators’ appointment the Director’s loan account balance was £1.15m. The Administrators were engaged in protracted dialogue with the Director since commencement of the Administration regarding repayment which concluded that recovery of the Director’s loan from any formal enforcement action would be both limited and uncertain. What this says is that after more than 5 years, a large administrator could not recover £1.15m from one of Mountrange’s directors and had to accept £100,000 instead. This weighed heavily on our decision not to go to a full judicial review over the Craighouse decision. We were concerned that it would be very hard to protect the individual members of the group challenging the case. Whilst the law does little to protect communities fighting such huge companies through judicial review, it seems that the system also does little to challenge or reclaim the monies owed by large companies and the individuals associated with them. This unfairness in the system should be improved, but unfortunately the Scottish Government is making it harder for communities to challenge the lawfulness of decisions like Craighouse on environmental grounds. For those not on our email list or following us on Facebook, you may not have heard that, we made the difficult decision to withdraw our current Judicial Review petition before the Protected Expenses Order Hearing. We had been told we had a good case from our lawyers and had agreement from the Friends group to proceed to PEO stage to get a protected expenses order. We did not have agreement to proceed without a Protected Expenses Order. The Judicial Review case was that the Councillors had available information not made available to the public. This is not allowed under European law. We have evidence that this was the case. We had an email response to our enquiry from committee convenor Ian Perry that talked of meetings set up for Councillors to discuss confidential information – including the private meeting at the hearing. We also had a response from planning head David Leslie in reply to a question about why confidential financial reports weren’t made available to Councillors saying that ALL information was made available to the Councillors at two meetings, including the private meeting in the hearing. Added to this, we knew from Councillors that financial information was available for them to read but they were not allowed to remove or take away as it was “confidential”. However, the Council proceeded to issue a point blank denial to the courts that the Councillors had available information not available to the public. Because of this, the advice from our lawyers changed in terms of the risk and potential costs of pursuing the case even to PEO stage. Our case – which should have been straightforward, would have had to go to presentation of evidence about the contents of those meetings, which means that the costs could substantially spiral. Added to this, despite our case being with the Council, the developer’s lawyers were very heavily involved. In our research we have encountered other groups who carried on regardless – many of them won their cases – then having to face appeals and ratcheting up £100,000s in the process. The system is so terrible for communities that it requires individuals to take the personal risk on behalf of an entire community. Those people have to shoulder any potential risk and we could only allow our petitioners to do this whilst the costs looked relatively controlled so that we could fundraise to support them. We could not allow our individual petitioners to take on the burden of risk if it looked as though that might spiral rapidly and uncontrollably. Therefore, the tough decision was made not to continue with the current petition at this present time. If further information comes to light to back up the evidence we already have in a way that would enable us to proceed to PEO without potentially spiralling costs – then the case can be pursued. Judicial Review is a blunt weapon. But the anomaly in the law in terms of making individuals liable on behalf of communities – and the complete failure to protect them or allow communities to bring actions themselves rather than having to put individual people at risk in the face of companies with many millions at their disposal – has been shocking to understand. Communities have few rights and the individuals who stand up for them have little protection. This is a situation recognised as unjust by many working for communities in the legal sector and needs to be rectified urgently and we are being urged by legal experts to publicise our experience to bring this terribly unjust situation to the attention of the wider public – particularly in this time of debate about the rights of communities highlighted by the new Community Empowerment Bill. Communities should not be unable to pursue legal justice simply due to the extremely prohibitive costs and unlimited risks to petitioners due to the deep pockets of the development industry. Unfortunately, when it comes to legal rights, the Scottish Government is making it more, rather than less, hard for communities to access any legal help to be able to bring judicial reviews by bringing in a completely unworkable time limit (6 weeks) and continuing to allow those public-spirited individuals who put their names on the petition on behalf of their communities to be exposed to unlimited risks. Planning Democracy and other community-minded organisations are presently campaigning for Equal Rights of Appeal to provide communities with proper legal recourse and rights. We urge our members to support them and write to MSPs. We will tell you how in due course. The money that was donated to the cause will be used to pay our lawyers – with what is left being retained for any new case to be brought. This will be donated to charity in due course. We will make our accounts available to the membership so that all remains transparent and clear. We will be holding a Friends of Craighouse meeting very soon to discuss all of this with our members and discuss next moves. Many thanks for all your support and sorry for this disappointing news at this time. With so many unresolved issues hanging over the site, it is still paramount that the local community works towards a better solution to save this site – whether in the short or the long term. Summer? Is it? Is it? We’re all hoping so (it is June, after all) but the recent rain and wind might make you think otherwise. 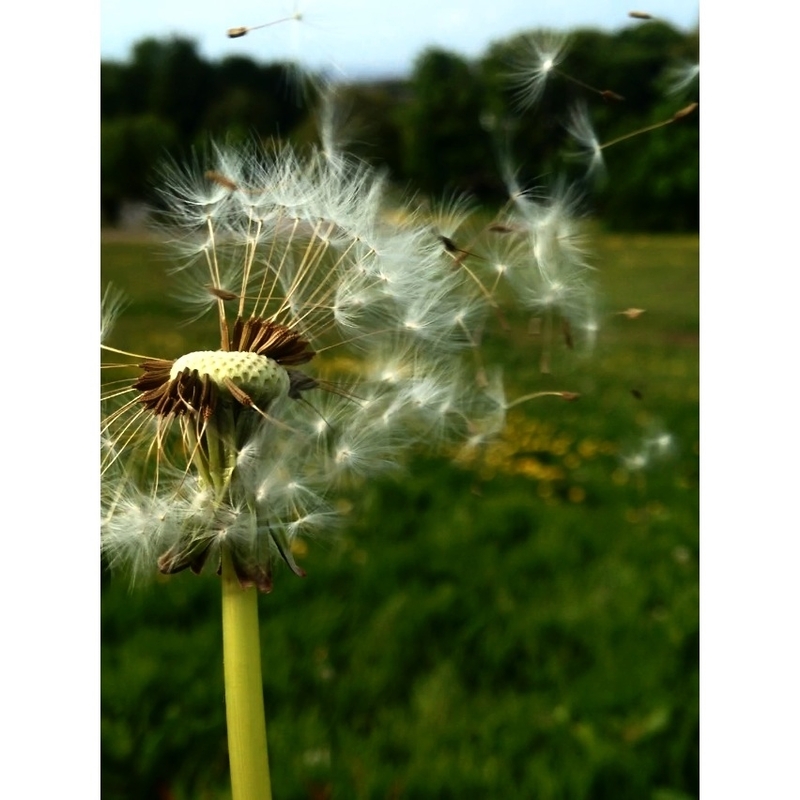 Still, whatever the weather, the site continues to inspire and we’ve been sent this gorgeous photo of a dandelion in the breeze taken by Lauryn Hartree (15). A beautiful photo that suggests nature, transience and time passing (not to mention blustery weather). Thank you so much! A real photographic talent in the making. We’ve also been hearing exciting stories of people’s fundraising. Last week a fantastic harp evening with well-known harpist Mary McMaster was organised by the lovely and tireless Tana for local residents. Just the kind of imaginative idea that brings the community together. Thank you all who took part – and thank you so much everyone who has contributed to the Craighouse Fighting Fund so far. It’s very much appreciated. Keep sharing and spreading the word. With other ideas for fundraising in the air – we hope that Craighouse in summer will continue to inspire, so the site can be saved and meet its full potential for the future. As many of you will know, flooding is a big concern with the Craighouse development and many of the thousands of people who objected to the excessive newbuild also objected on flooding grounds. Much was made by the Craighouse Partnership and others at the hearing about the flooding measures that were to be put in place (despite a flood report that has declared itself “disappointed”). Now, we learn, just months after the decision, the Craighouse Partnership are trying to wriggle out of the flood condition. An application to vary document (made very difficult to find on the portal – despite the fact it relates directly to the original application) shows that in March the Craighouse Partnership applied to have a series of conditions, including the flood condition changed so that the Head of Planning could agree a lesser flood-prevention scheme – without oversight by the planning committee, without consultation and without public scrutiny. If you feel a sense of déjà-vu, you may recall that a decade-old consent for a large university building was made permanent by the Craighouse Partnership by “digging a trench”. This also happened without public knowledge or scrutiny from the planning committee. So are we again seeing the Craighouse Partnership trying to waive expensive and inconvenient conditions to allow them to “activate” the consent to gain planning permission in perpetuity in order to raise the land value to sell the site? 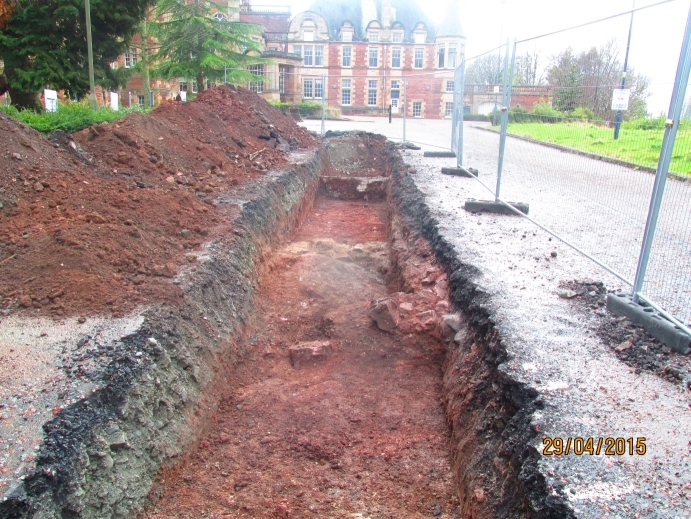 Diggers have moved onto the site and are currently ripping apart the carpark and areas near the listed buildings. We believe this is due to the “archaeological” condition, which they would also need to meet before they could “activate” the consent. Why are the Council discussing removing or downgrading the important conditions that they themselves imposed just a few months ago with the developer? There is no reason given. Surely this would be completely irresponsible when the flood risk has not changed in the surrounding area and the flooding problem of Balcarres St and Craighouse Gardens (and Myreside) has been extreme in recent years. 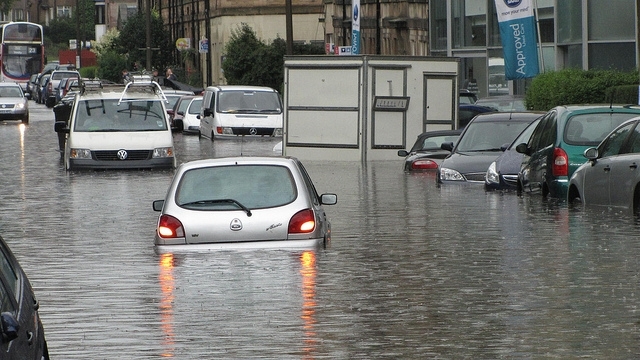 That “or” allows the Head of Planning to accept an alternative level of flood-prevention. 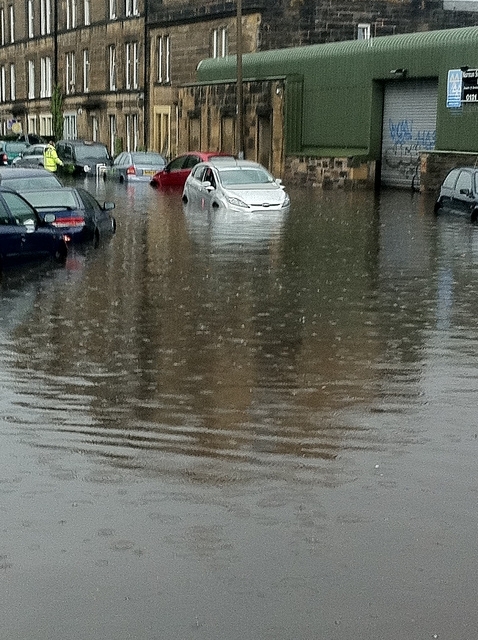 No level of flood-prevention is being requested, just the right of the Head of Planning to accept some new level of flood-prevention as proposed by the Craighouse Partnership. Clearly, the Craighouse Partnership are confident that the Head of Planning will accept a level of flood prevention that matches less than the previously-required minimum. This application is not being made available for neighbours (particularly those on Balcarres St and Craighouse Gardens who would be most affected) to comment on. And it is not being put before the planning committee. Instead, it is being decided internally by officials, even though this application is changing promises made to the planning committee and public at the Craighouse hearing. If you don’t want flooding on Balcarres St and Craighouse Gardens to get worse, then write to your local councillors and ask them to object. What can we do to save the site? Save Craighouse Fighting Fund reaches First Target – you can help. Here is the donation page for the Save Craighouse Fighting Fund in order to take this case to Judicial Review. Spread the word to those that love Craighouse and other protected sites in our city. We’ve already surpassed our initial 8k target for the first stage and now need to raise the rest. More info on the fighting fund page. Thank you to everyone has donated so far! We are now well over half way to our first fundraising goal. We have now raised £3,250! Donations information here. New revelations in the Evening News today. You can now donate to our campaign to take the financial claims and secret meetings to judicial review. After years of arguing over the “audit” of the Craighouse figures, it has finally been released on the Edinburgh council website, months after the decision. But instead of backing up the claim by the council that the Craighouse proposals were “fully-audited”, it actually lists millions of pounds worth of things not audited. But that’s not all. The drawing numbers have been redacted! Why have the drawing numbers been redacted as commercially-sensitive? What possible information could be in them? The only thing we could do with them is check they audited the plans actually in the planning application! Why would they want to stop us checking the audit matched the plans in the planning application? The only check we can do is comparing the sizes of the buildings in the audit report and planning application, for which two of the buildings have significantly different sizes. If it really is “fully audited”, shouldn’t the sizes of the buildings match between the audit report and the planning application? There is even a section on “minor discrepancies” between the cost plans and the drawings provided for the audit. The “minor discrepancies” are redacted! 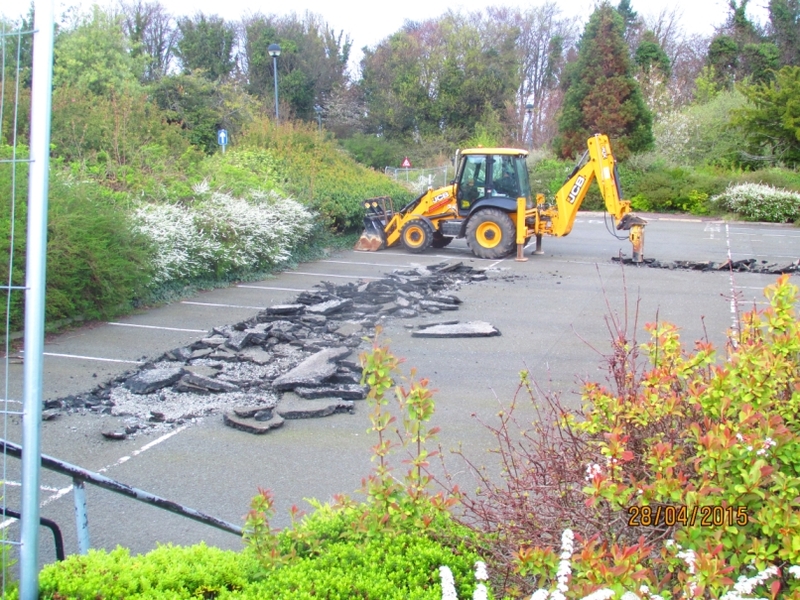 And there’s more: The audit states “No further information has been provided in respect of hard and soft landscaping, drainage or utilities”, so why has the cost of those increased by £175,000? It also comments on the plans being audited: “The information provided … is not detailed”. “No separate specification exists for the new build. Limited structural information exists or has been provided.” It seems that the “audit” was of specifications gleaned from “discussions” and “walk rounds”. What about the valuations which were the subject of so much doubt? They are not even included in the audit at all. How can the profit have been “fully-audited”, if only some of the costs are audited and not the valuations? Why not write to your local councillor and ask why the public and councillors were not given access to this information before the hearing, so the “fully audited” nonsense could have been challenged? In early October I submitted a Freedom of Information request in to the Council. I was particularly concerned after Neil Cuthbert, a lobbyist for the Craighouse Partnership had sent around an email attributing a paragraph to me saying it was a email sent by myself – when I had never even seen the paragraph before, let alone written it! This was widely circulated to officials and people in the Council I didn’t even know – such as the Head of Children and Families. It was also sent to the Head of South Morningside Primary School. I wanted to see what else the Craighouse Partnership had been circulating about me personally. I also wanted to see if the Council would own up to this email having been circulated widely around their departments. The FOI request I made was probably a bit on the wide side – encompassing all documentation and correspondence referring to Craighouse campus since 2012. Added to this was a request for any documentation and correspondence between the Council and the Craighouse Partnership or any of their representatives that referred specifically to the Friends of Craighouse, Andrew Richards or myself. Ok. It was a bit of a wide-ranging request, maybe. I sat on it for a few weeks, then decided to leave the largest area of the request out altogether. I didn’t ask for documentation referring to Craighouse. I only asked for that referring specifically to the Friends of Craighouse, Andrew Richards and myself. A far smaller and simpler request. Or so I thought. “Section 12 (1) of the Act does not oblige a Scottish public authority to comply with a request for information if the authority estimates that the cost of complying with the request would exceed the statutory limit. Umm. Hang on a second. £4,331.80 always sounded a bit steep to me, but now we have two completely different requests – one containing all of the other PLUS every document referring to Craighouse since 2012. Yet they cost exactly the same amount? I mean exactly the same amount. The FOI people had not even managed to scrape off that rogue 80 pence. Number of staff hours involved = (1,230 @ 14 minutes per record = 17,220 minutes = 287 hours. Are the Council seriously telling us that there are 1,187 email records about the Friends of Craighouse or myself and Andrew? And are they really saying that there isn’t a single email as requested since 2012 referring to Craighouse campus that DOESN’T refer to us? Really? Every meeting arrangement. Every meeting with the Listed Building team. Every confirmation of a date for the diary – are we really supposed to believe all of them refer to myself, Andrew or FoC? It is just not credible. The FOI has now been returned for review. Our last FOI is now with the Information Commissioner after the Council denied holding information that we have direct evidence of. Presumably by giving people the run-around they hope they will eventually go away. This Council promised more transparency. Yet our experience has been anything but. The more outrageously they treat people, the more important it is to challenge them. There have been rumours for some weeks that Craighouse is for sale. We have found the following website. But in order to find out more, it is necessary to sign a non-disclosure-agreement. Rettie, named on the site, is the estate agent that advised Mountgrange when acquiring Craighouse in the first place. Obtaining any information from the website requires signing an NDA (“Non Disclosure Agreement”) a contract that, in this case, requires anyone interested in finding out more to agree to not disclose “any mention of the involvement of the Company [Mountgrange] in this transaction”. This website was set up on 26th August 2014, a week before the planning hearing to decide on the planning consent. The site was setup and run by EstateCreate, a company that sets up “data rooms” to “sell property faster”. From many we have spoken to, there is scepticism of who would buy a site with a highly controversial planning consent, with a strong likelihood of judicial review, an unresolved drainage problem and unresolved protected wildlife issues. We will keep you posted when we are able to tell you more.